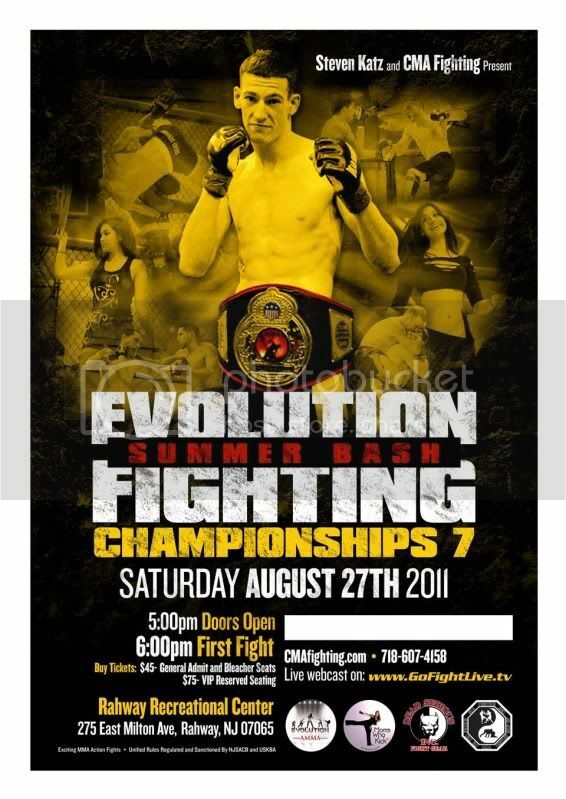 Evolution Fighting Championship's Summer Bash has turned into a Hurricane Bash and as a result had to be postponed 1 week. The show will take place on September 3, at the same venue, the Rahway Rec Center in Rahway, New Jersey. The 3 titles fights will take place next week, and most of the card will remain the same. Saftey is the issue here, and postponing the show was the right thing to do. See you all in Rahway next Saturday!